Casinos. Bars. Restaurants. These are just some of the places where you can find personalized book matches. Who uses them? Tourists, night owls, business owners, men, women – almost everybody. Why are these custom book matches still being used despite of the proliferation of other promotional materials that double as lighting tools like mini flashlights and lighters? The answer is plain and simple. Anything that makes fire and light is useful to man. We reach out for the first thing that can light a candle when the power suddenly goes out during a stormy evening or to light a candle for someone’s birthday. This is the reason why through the years, entrepreneurs continue to include book matches in their arsenal of promotional items. 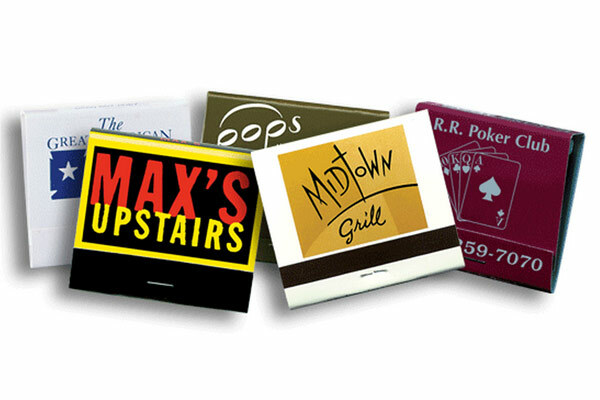 They are aware that a color matchbook has enough power to make customers remember who they are, what they do, where they are located and how they can be contacted. They also know that book matches can provide them with multiple customer views. How? Let’s take the stormy night example. The lights suddenly goes out, the customer grabs his Smartphone or flashlight for illumination. However, he knows that the batteries of these devices won’t last long, so he looks for a box of matches. Then, he remembers that he stashed your company’s book matches in his kitchen’s drawer. So he sees your matches one more time and will definitely show them to the other members of his household. In fact, he might even retell the story of how your book matches saved them from total darkness on a cold, stormy, lightless evening.